Open gym basketball rules: What are thoughts about it? It’s the off-season so what are your open gym basketball rules right now? With it being the off-season, and many coaches not being able to work with kids directly, the majority of time spent in the gym is spent playing pick up. It can be a tough time for coaches as the inability to control play and open gym basketball rules can allow for “loose” play and players forming bad habits- bad shot selection, players not playing hard, play not being competitive, too much 1 vs. 1, the list goes on…so how can coaches impact pick up? Here are some ideas. How do you form your teams? How do you keep the teams competitive? How do you keep them from becoming unequal- based on position or talent? -Do coaches pick teams? Attempt to form lineups that may be used during the year. -The team that is coming on the floor do they shoot for spots or does captain/veteran choose who plays? How long should the games go? Should they be short or long? A low point total forces teams to value each possession and creates the rotation of units quickly. This can create competitive games. However, it could also lend itself to teams not being able to get in the flow. It also can favor the teams that win and stay on the floor as they are warmed up from the previous game. -Timed games- use the clock. Play 5-minute games (stop the clock with shot clock). Simulates real game and keeps the games short and also creates real-game situations. Or if you don’t have someone there to sit and run the clock, you could do running clock for a set amount of time (ex 10 minutes). Keeps games to set amount of time and eliminates games from going too long due to the inability to reach a certain point total. -If you have multiple courts going at same time, both games and win when there is a winner on one of the courts. The high score on the other court wins. Rotate teams/courts. -Play to 2, win by 2. Values every possession. How do you score the games? Every basket count as 1? 2’s and 3’s? I find that this is the most debated topic with regards to picking up and open gym basketball rules. 1’s- value each possession and shot selection. Values attacking the paint devalues the 3 point shot. 2’s and 3’s- simulates real game scoring. Helping players better understanding the real game situation. It also values the power of the 3 point shot and defending the 3. Additional points awarded- There is also the option of additional points earned to reward behaviors coaches are attempting to achieve. Examples would be: additional point for offensive rebound put back (values rebound effort and values blocking out), additional point for scoring off a screening action, additional point for every player on offense touching ball before basket (promotes ball movement), or the opposite- a point can be taken away for every TO committed (values possession of ball)…there are plenty more ideas that can be used here. “Gap-time scoring”- in this game, scoring is connected to defense as well. Everything is essentially broken down into two possession games- an offensive possession and then a defensive possession (or the other way around depending on what side of the ball you start on). If you start on offense, to get 1 point (or a 2/3 depending on your scoring), you must get a score AND then a stop on defense. If you score and then give up a bucket on the defensive end- 0 points. The flip is if you start on defense, you must get a stop AND then a basket on offense to get the point(s). You can choose to stop the flow after each “2 possession” game or keep the flow of the game continuous. Do your games need to be validated or do the game end on the made winning basket? Validation can help simulate a little extra pressure on your players/teams. -A player who scores winning basket must make an FT win the game. Missed FT acts as a stop for the defense. No point and other team get ball. Additional idea. 2nd missed “validated FT” means an automatic loss for that team. -Must get a stop. Score “winning basket” and then follow with a “big” stop to win the game. If other team scores negate win. -Who calls the fouls? In my experience, when the offense is allowed to call the fouls, players often call “soft” fouls for themselves…Many times in situations where they are bailing themselves out for making a dumb play. 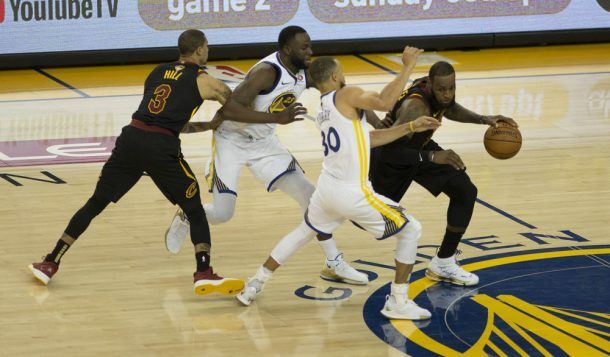 The risk you run when defense only calls fouls is that the game can get physical due to the case not drawing fouls, especially when the game is competitive. -This ties to rule above…hit a certain amount of fouls and it turns into bonus FT situation…this helps prevent foul after foul (weak defense), especially on game point. -To create higher effort, rule that baskets only count when all five players are from half court. There are no downsides to this practice other than some players won’t like it…but it just forces them to play harder. There are tons more ideas out there. You can tailor the rules to fit whatever you like. The last question would be: how much should coaches monitor open gym? If they control too much, it will feel more like practice to the players, and there will be resistance. Not enough, laziness and bad habits will form in uncompetitive games- aka waste of time. It comes down to having great leadership buy into what the coach wants them to achieve and them holding everyone to that standard. As coaches, we may not get everything we would like, but rather, must prioritize what is most important to achieve.